During my work period at CBS Outdoor (Amsterdam), I designed a lot of different street furniture posters. Most of all for small or local business companies. An attractive way to advertise at Bus stops and Railway stations. OOH advertising allows advertisers to enjoy extended engagement with audiences in ways other mediums simply cannot match. 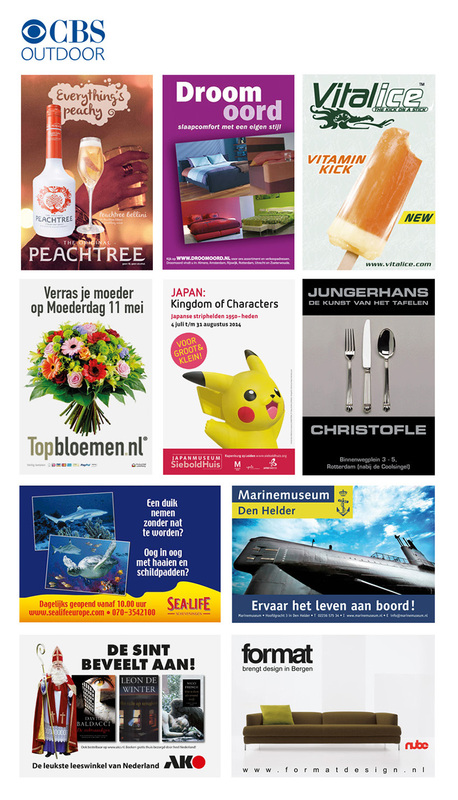 Here you can find a small selection of different Street furniture posters (abri/mupi posters).